Is it time for your car's next alignment service? 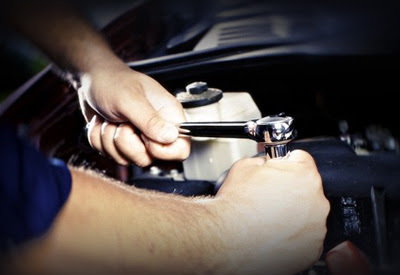 Contact us for an appointment, and remember to ask about our service specials! Potholes, curbs, uneven roads, and even minor accidents can all pull your car's tires out of alignment. It doesn't take much to make that happen, and sometimes you don't even realize it! But also if you think everything is fine, keeping your car's tires aligned can prevent major headaches down the road. If the tires are allowed to wear unevenly, they can wear out prematurely, which means you'll have to replace one or more sooner than you're supposed to. Even worse, worn tires can be dangerous to drive on, as they have less grip on slippery roads. They're also more prone to going flat. Over time, misaligned tires put undue stress on the suspension system. If parts in the suspension system get worn out and need replacement; as a result, you could be looking at a repair bill that costs $3,000 to $4,000 or more! 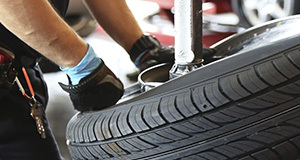 In general, it's a good idea to have a professional mechanic look at your tires about every 5,000 – 6,000 miles to make sure they're in excellent condition, even if you can't detect anything wrong. Other times, you may be able to tell that it's time for an alignment based on your car's symptoms. Signs that you may need an alignment check include feeling vibrations in the steering wheel when you go over bumps or having a car that pulls either to the left or right when you're driving on a straight road. If your car's steering wheel does not fully straighten when the vehicle is parked, it might also be a sign that you need an alignment service. 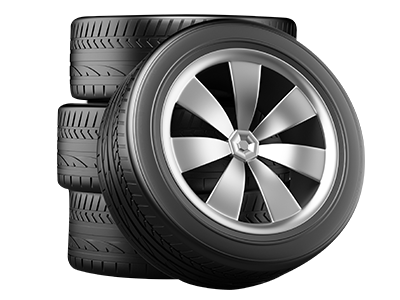 You can also look at the car's tires to check for uneven tread wear. Whether you're bringing your car in for alignment service based on schedule or symptoms, you can rest assured that our skilled service team will take good care of your vehicle. When you arrive for an appointment, a mechanic will take a look at your car's tires to determine if it needs an alignment. We'll also rotate the tires if necessary to prevent uneven wear. If it's time for new tires, we'll make that happen as well. And owners of all cars, not just Hondas, are welcome to bring their vehicles in for repairs, as our service team works on all makes and models. When the alignment is finished, you'll find that the car is more comfortable and more fun to drive, as properly aligned tires enhance the car's performance, too. Along with getting quality service and excellent customer care, bringing your car to us for repairs means you'll be getting nothing less than the best parts, too. Since we're a certified dealership, we only source certified parts for vehicle repairs. These parts are called original equipment manufacturer (OEM) parts. They are ideal for repairs because they are backed by a manufacturer's warranty. They're also held to a high standard of quality, which means that you can be assured that you get what you pay for. The other option is aftermarket parts, which are commonly used by independent repair shops. While these shops may advertise aftermarket parts as desirable for their lower prices, aftermarket parts aren't backed by a warranty. They also vary in quality, which means all too often customers end up spending more money than necessary and having a disappointing experience.